We don’t know about you, but Mad Men is a show we can’t get enough of. Sure, it has won a bunch of Emmy Awards, and it provides a gripping depiction of the lives of advertising executives on Madison Avenue in the 1960s, but these aren’t the only reasons why we’re watching. 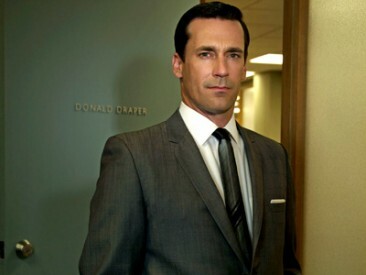 The truth is, Don Draper – played by actor Jon Hamm – is actually wise beyond his years. A classic American figure, sure. But old-fashioned? We don’t think so. Every episode, Don Draper unleashes a brilliant, memorable line, a gem of an advice that we can take and use in the age of Internet marketing and social media. Take for example the following Don Draper quotes. Sure, trying to learn things like Twitter, SEO, web analytics, PPC advertising, etc. can be downright intimidating. It’s almost like trying to learn a whole new language – something you may be afraid you’re not going to be very good at. Don Draper’s tip? Don’t anticipate failure. Don’t put off trying because you let your fears get to you. Don’t think of the learning curve as steep: think of it as fun. (It is especially fun to see that your efforts are paying off in numbers that matter to the bottom line.) Besides, there won’t be any proficiency tests that ask you what a hashtag is, or how the color red is spelled in HTML. It’s all an effort toward helping you keep up with or stay ahead of the competition. Just remember to keep yourself informed and to stay attuned to what’s happening in the industry. You get a lot more opportunities that way. Internet marketing and social media are all about positioning your brand in such a way that you stand out, and people can find you. This means finding creative ways to establish or enhance your presence online. This means differentiating yourself and establishing your authority or leadership in a network of contacts and connections. This means working at it until you get more fans and followers, until you reach the top of the search results pages, until hoards of customers are checking out of your site with brimming shopping carts – until you’ve become, in Don Draper’s suave words, “toasted”. As mentioned above, find creative ways to get your brand out there. Operative word is “creative” – not “desperate”. Don’t publish spammy content on your blog just because you think it’s going to help you perform better in search. Don’t barrage your mailing lists with E-mail newsletters five times a day. Don’t go on Facebook trying to be an Internet marketer, news journalist, viral video producer, “I had pancakes for breakfast” status updater, and political commentator all at once. Avoid unnecessary widgets and fancy web design elements that don’t do anything except clog your website and make navigation a pain. And if you ever have to resolve a customer issue online – say, on Twitter – it might be best to do it using the Direct Message tool. As Don Draper says, limit your exposure. It just might be the best thing that ever happens to your brand. We like to think of this quote as speaking volumes of the nature of online reputation management. Sure, you can’t please everyone, and there’ll be critics from every corner, but this doesn’t mean you can’t do anything about it. For example: a negative review of your product or service suddenly makes its way to Page 1 of Google’s search results. Spring into action and gather testimonials from your most satisfied customers. A delinquent employee’s badmouthing you? Write a blog post about how your company is all about fostering a positive work environment. Concerned of impostors on Facebook or Twitter intent on destroying the reputation of your brand? Secure your names on social networks with a tool like, say, KnowEm. There are a lot of other online reputation management techniques out there – but the first step is to believe that, no matter how big the Web is, you do have the power to change the conversation. Whoa. If someone talked like this in a boardroom today, the sales team would surely be bursting with inspiration. But let’s get to the heart of what Don says and see how it applies today. One can expand this notion of “advertising” and take it to include things like e-Commerce, search marketing, social media marketing, online advertising, support and service, and other efforts that fall under the same umbrella. The key, as always, is keeping customers happy. Keeping them engaged. Giving them what they want and what they need. These days, we have a bunch of tools, technologies, and applications at our disposal – much more than Don Draper ever had. We have the Internet. But to succeed, you must not lose sight of the customers whom the business is all about – the customers you have to keep searching for, engaging with, and building and enhancing relationships with. So keep them happy. Send them @replies on Twitter. Come up with promos that reward those who choose to “Like” your brand on Facebook. If you have to, “scream with reassurance” that what you’re offering is exactly what they’re looking for.